I know that usually on Monday's, I post inspirational music. But today I decided to post blogs that I find inspirational. 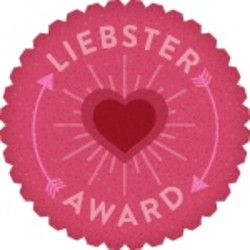 My dear friend nominated me for what is called a Liebster Award and now as part of the idea of Liebster, it is my turn to nominate a few blogs that I think are outstanding, inspirational and helping to make a positive change in the world. Please copy and paste these questions onto your blog (in a new post) and answer them. Nominate 3 - 5 up and coming blogs that you love to read. You can not nominate the person who nominated you. Notify your nominees and provide a link back to your post. 1.) What are you wearing right now? Long skinny jeans and a lace crop top over a pink tank top. 2.) Why did you decide to start a blog? I wanted to help raise awareness for CHD and PH along with letting others know that they are not alone in their struggles. 3.) What is one thing about yourself that you consider interesting? My taste in music is pretty interesting. Or so I've been told. 4.) What is one thing that you want more than anything in the world? I want people to start being kinder and more accepting of one another. 5.) What is your favorite pastime? Ooh that's a hard one. I love reading, writing and signing to music. 6. )What is your favorite book? 7.) If you could meet one historical figure, who would it be? 8.) What was the last thing you ate? 9.) I'm running out of questions...what's your favorite word? 10.) What is your favorite food? ;Steak and mashed potatoes. 11.) What is one thing you have never learned but would like to? I'd love to learn how to do a proper dive into water. I always do a belly-flop every time I try. Shelby at: http://teenagehearttransplant.blogspot.com Shelby and I met while at a camp for kids with heart defects. She is outgoing, loving and has an amazing sense of humor. She has had 2 heart transplants so far and her outlook on life is a bright one that always makes me smile. Mrs. Shrader has 4 kids all together and runs an amazing blog all about their life. Two of her kids have special needs so she has an amazing insight into the world of being a parent to kids with special needs. Whenever I see her though she never complains and is always full of happiness. I don't know how she does it, but she always seems to be looking at the bright side of things. And last but not least: Show Hope at http://blog.showhope.org/As someone who is adopted and comes from a large adopted family (There are 14 of us! And some from other countries! ), I really appreciate what this blog does. It mainly focuses on raising awareness about adopting from China in hopes that more people will, but it talks about adoption in general as well - speaking about the amazing stories of hope and how adoption has changed people's lives. It certainly has not only changed my life, but has saved it as well. So thank you Show Hope for helping raise awareness to adoption! So for all of you who have been nominated, here are the questions I'd like you to answer on your own blog! What is one thing you would change about this world if you could? Who in your life inspires you or helps motivate you to keep going? What is one misconception about the topic you write about that you'd like to clear up? How has running a blog changed your life? If someone were to ask you what you hope to accomplish with your blog, what would you tell them? Can you be found on Twitter for your readers to follow? Now for some random questions! Do you prefer chocolate or vanilla ice cream? Thanks again to my dear friend for the nomination and I hope you guys check out some of the blogs I've talked about. They are amazing, insightful and written by wonderful people!